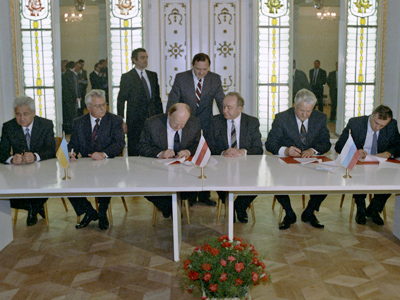 Two decades ago to the day, the world's largest country ceased to exist. The fall of the Soviet Union meant the end of the Cold War. 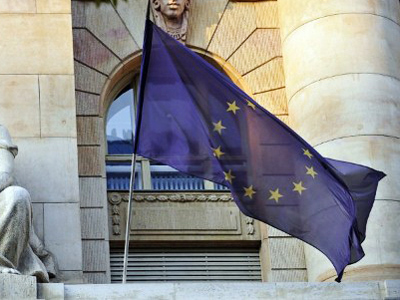 But has the world become more secure without a powerful counterweight on the geopolitical stage? Today, people still struggle to explain the fall of a global Goliath, with some putting it down to the role of just a handful of key people. “I’ll give you two reasons – Gorbachev and Yeltsin,” historian Geoffrey Roberts told RT. 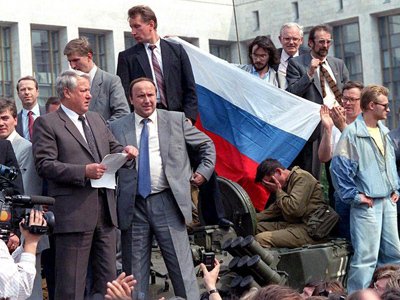 The August 1991 coup was a turning point in the country’s history, with pictures of Yeltsin standing on a tank creating an image of a new type of Russian hero. Yet most don’t see even that pivotal event as creating a fatal crack in the Soviet Union. The collapse of the Soviet Union was not so much a revolution, rather it was a peaceful divorce of former republics longing for independence. But the break-up had long-lasting and painful consequences. 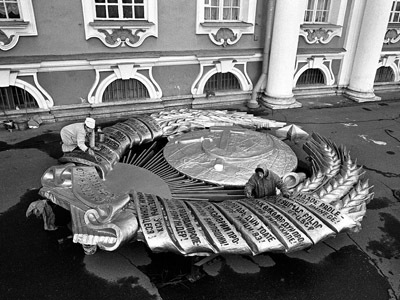 Addressing the issue in 2005, the then-president Vladimir Putin described the dissolution of the Soviet super-state as the biggest catastrophe in recent history. “The collapse of the Soviet Union is the biggest geopolitical disaster of the 20th century,” he proclaimed. And in that assessment, Vladimir Putin is not alone. Although many Russians now enjoy freedoms never imagined in the USSR, 60 per cent still believe the collapse did more harm than good. Twenty years on, Russians still seem undecided over how to treat the legacy of the USSR. In Moscow, most Soviet names have long been erased from the streets and people's memories. But some symbols of the past stand out so vividly, it can feel like those two decades never happened. 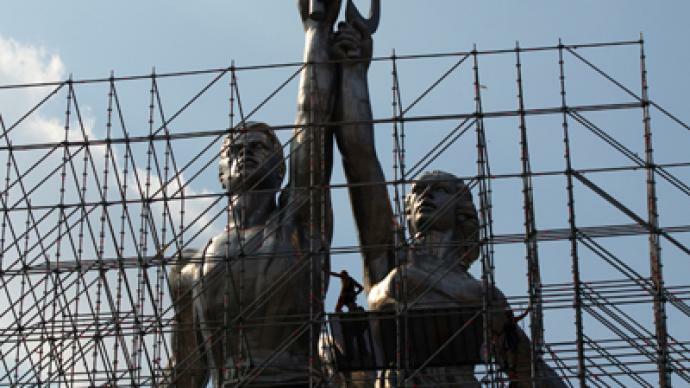 The "Worker and Kolkhoznitsa" monument took six years and US $30 million to restore. Not even the government would consider taking down what is among the most famous unofficial symbols of the USSR. A strong worker and a portly collective farmer were symbols of prosperity and stability. In a country with a planned economy, everyone knew they would be provided with their metaphorical hammer and sickle, and also knew exactly how much to produce with them. The events of 1991 changed all that. The post-Soviet economies were shattered, their deficits sky-rocketed, production plunged and it took them years to get back on their feet. But among the political elite, many did not want to support the drive to modernize and, in turn, save the Union. Instead, they wanted to destroy it. And, during that cataclysm, many republics were plunged into ethnic violence after gaining independence. Similar ethnic clashes between Armenia and Azerbaijan claimed the lives of over 30,000 people. A thousand people were killed in the Transdniester conflict and Russia remains on a peacekeeping mission there to this day. At least 1,000 people were killed in post-break-up clashes between Georgia and South Ossetia and over 100,000 were displaced. Tajikistan faced the worst consequences of all – 60,000 killed and over a million people displaced. Even the capital, Moscow, didn’t feel secure. After the fall of the Berlin Wall, the world breathed a sigh of relief. But it was not long before NATO set about creating a new wall – made of missiles. The Alliance steadily moved towards Russia, incorporating former Soviet republics but leaving Moscow out of Europe's new security framework. The fall of the USSR put an end to the Cold War era forever – in a fundamental shift in global geopolitics, just a few were now left calling the shots. And, without a powerful counterweight, today's world remains far from secure.